Usually I don’t like to write posts about companies, but I wanted to share how you can find a cheap flight to Japan. Of course, this option depends on your own itinerary and sometimes it may require a stopover in Malaysia, but in my opinion it is worth it. And since I haven’t met anybody who likes to spend much on their tickets, just to be squeezed in a little seat for hours, I decided to tell you how I flew to Japan for $80. If you have been travelling in Asia you have heard of AirAsia, but if you still haven’t set foot in one of the richest continents in the world, AirAsia is a Malaysian (named the world’s best) low-cost airline. 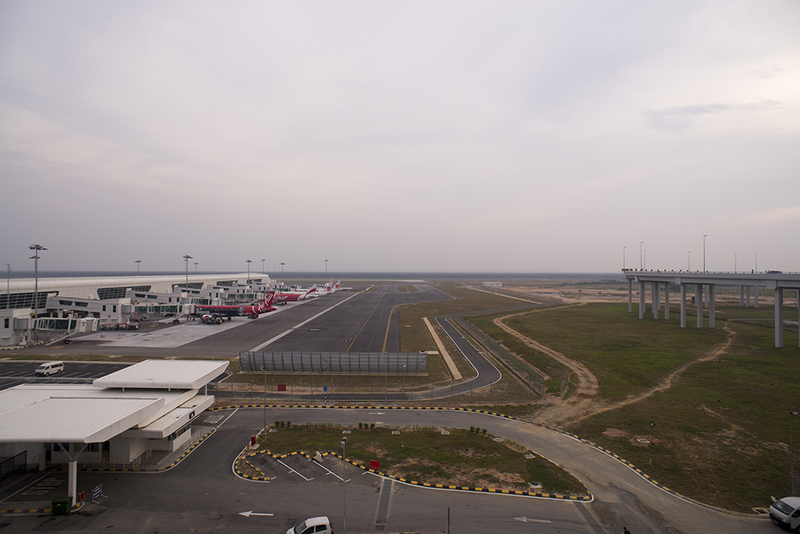 It operates both domestic and international flights and its headquarters are in the newly built KLIA2, just one hour drive from Kuala Lumpur. But in this post I am not going to talk about AirAsia, but AirAsia X, a separate division of the company, that provides long-haul counterpart that focuses on flights which are four hours or more in distance. Among its destinations are countries like Australia, Japan, Saudi Arabia and Thailand. AirAsia’s own terminal at KLIA2. When we started researching for cheap flights to Japan, we didn’t manage to find anything cheaper than $250. then we decided to alter our searching and to check the flights offered from the neighbouring Malaysia. Since we have been flying with AirAsia, we checked their website and found out that the best option was to travel to Nagoya, instead of Tokyo or Osaka. At the time of the booking, AirAsia X had an ongoing promotion and we booked our tickets for only $80. But even without the promotion, the tickets would cost around $100. Tickets to Tokyo and Osaka can be booked for around $150 when in promotion. If you travel to Nagoya, you will save some money and you will get the opportunity to explore one of Japan’s oldest cities, strategically located just 50 minutes from Osaka and 1 hour and 40 minutes from Tokyo via train. The largest city in the Chūbu region of Japan, is the third-largest city in the country. Famous for its abundance of cherry blossom trees during spring time, Japanese macaques, otherwise known as Snow Monkeys bathing in the hot springs are also a big tourist attraction in this region. Excellent travel hack! Air Asia is one of my favorite airlines … the food is great and the flight attendants are friendly…! I agree with you, although I have encountered not so polite Air Asia’s staff in South Korea and Malaysia.